> What to do during an earthquake? 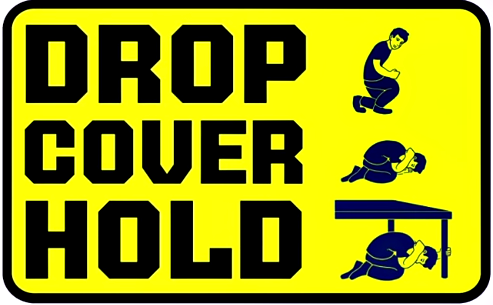 DROP, COVER, HOLD is your best plan during an earthquake to save your life. Avoid fire places and the kitchen. Turn off the stove if you happen to be cooking . Don't panic. But don't be complacent. A 7.2-magnitude earthquake will be so strong it will likely be felt even in cities without the West Valley Fault. I understand that safer buildings are crucial. But with the non-compliance with building codes and the rampant graft and corruption in our midst, I seriously doubt if the very home where we are living is earthquake-proof. Each one of us must take precautionary action to protect our homes and properties against earthquakes. The best way one can survive is to stay as low as you can beside a furniture – that’s beside, not under but if there is a sturdy table then stay under the table, cover your nape and head then hold. A public service by travelonshoestring.